If you have been looking for an exceptional mechanic, look no further than Middletown Honda. Set aside any preconceived notions you have about working with a dealership, and let us show you how easy and affordable it is to get work done on your car. We have a long list of satisfied customers in the Mechanicstown area, and we would love to earn your business. When we ask our returning customers what they love so much about our service department, these are a few of the things they mention. Have you noticed how everything from ordering pizza to buying shoes is easier online? The same is true with scheduling an appointment at the mechanic. Take a few seconds to fill our online service form, and your appointment is locked in. 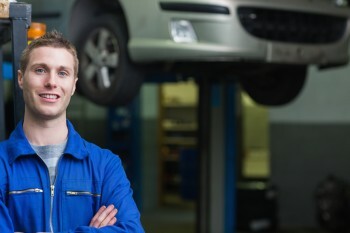 When was the last time you thought about bringing a coupon to your mechanic? We offer a variety of service specials throughout the year, and they apply to everything from oil changes to major repairs. We make it easy for you to save big. We strive to do things differently, from the way we fix cars to the way we sell them. If your vehicle needs professional attention, make your way to Middletown Honda at 520 Rte 211 E. If you are coming from Mechanicstown, just take Dunning Rd to NY-211 and head east. You are less than five minutes away. Did you know you had a great team of mechanics right in your backyard? If you ever need automotive help, count on us.